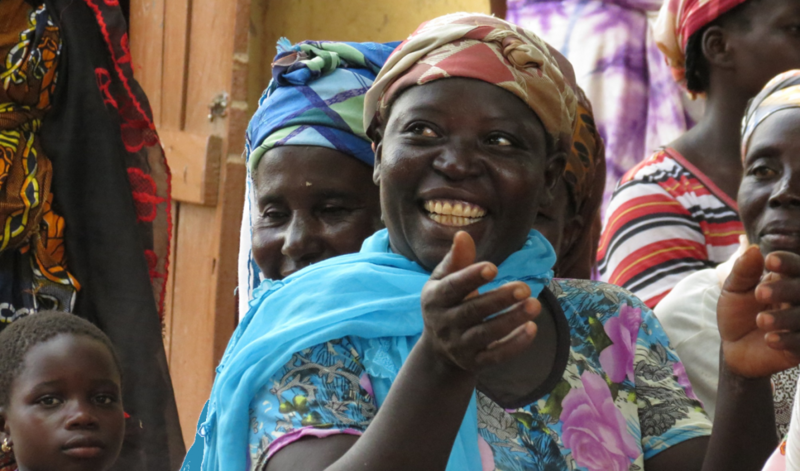 third year thanks to the generous contribution of CFTC supporters, represents an important step forward in the way smallholder farm families in three of northern Ghana’s most impoverished and climate-challenged regions are building their resilience to climate change. While CFTC had worked for many years with regional partners in the area to provide farmers with agricultural inputs and training, and to help women engage more fully in alternative livelihoods (along with supporting children’s education), CHANGE built upon that solid foundation by incorporating environmental programming into our food security work. 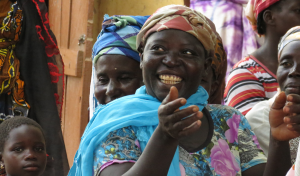 And CHANGE has paid off: the results of an end-of-project evaluation show that CHANGE has improved the resilience and incomes of smallholder farmers in 17 communities in the Upper East, Upper West and Northern Regions of Ghana, and in fact exceeded many of its key targets. 3) To increase women’s participation in sustainable agricultural and alternate livelihoods. “CHANGE is truly a cause for celebration,” Debra continued. “CHANGE unleashed a new level of innovation and collaboration. The project’s approach to training (complementing in-person, in-community skills training with radio broadcasts) bridged the huge gap in agricultural extension services prevalent throughout the vast area of northern Ghana, bringing the government and research community together with farmers to share learnings, test and experiment with climate-smart strategies to boost family incomes and community resilience – sometimes live and in person, sometimes over the radio. These innovative methods to disseminate information and skills have allowed us to make significant and sustainable inroads in addressing the pressing issue of climate change and its impacts in northern Ghana,” Debra said. While the CHANGE project is now over, the key learnings and best practices will continue to make a positive impact on smallholder farm families in northern Ghana. The project placed great emphasis on participatory, community involvement which increases sustainability. Through FBOs, community leaders were trained to conduct climate vulnerability assessments and land use plans in each of the 17 communities. These are updated annually and the findings brought forward to local government representatives, so that they can be integrated into municipal, district and regional planning and budgets. This past year, two important projects have been funded this way: construction of a culvert in Kpachelo, Northern Region; and scaling up the use of energy-saving stoves by the Sissala District Assembly (Upper West Region). One of the best practices that emerged from CHANGE. Energy-saving stoves were adopted by CHANGE in its second year, and their implementation has been embraced by project beneficiaries and other communities outside the project. The stoves have multiple benefits. They use less wood so they reduce pressure on local trees for fuel, which has helped reduce the deforestation that destabilizes the delicate environment and soil quality. By burning wood more efficiently, the stoves also reduce women’s (and girls’) labour – both the time-intensive (and sometimes dangerous) need to collect firewood, and the time spent cooking. Most critically, the stoves reduce health risks for women and children as a result of lowered exposure to smoke. And finally, they are increasing income – the stoves use local materials and labour and are constructed and sold right in the communities where they are used, providing local economic development benefits. Other initiatives are having similar local benefits: indigenous mud silos used for seed storage have received excellent uptake. Mud silos maintain seed quality for longer, so farmers are able to minimize crop loss and get a greater price at market for better quality seeds. Unlike metal fabricated silos, which are manufactured by the Ministry of Food and Agriculture in the south and shipped in to northern communities, mud silos use indigenous knowledge and materials, are less costly, and store a larger variety of seeds – reasons that have led to their enthusiastic adoption across most of the 17 project communities. The Climate-Seeds-Knowledge (CSK) initiative was another sub-project within CHANGE that has made a groundbreaking difference – particularly to the women farmers of the Northern Region. The initiative has revived 10 varieties of indigenous, drought-resilient seeds. 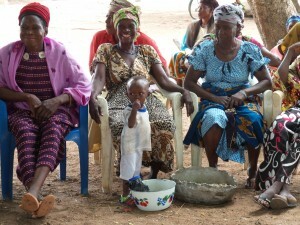 Cultivated primarily by women, produce from the seeds is sold locally, boosting women’s incomes directly. The seeds themselves are also sold, enhancing women’s profiles within communities as the holders of important indigenous knowledge. The seeds – well-adapted to northern Ghana’s drought-prone climate – have the potential to address the food security needs of northern Ghana sustainably and for the long-term. Like energy-saving stoves and mud silos, the CSK project has a bright future and has already made a great impact on northern Ghana’s farm families. 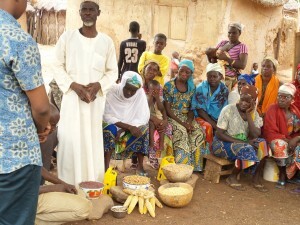 Ongoing collaboration between CFTC, its three regional partners, Ghana’s Ministry of Food and Agriculture, and the Savannah Agricultural Research Institute (SARI) – as well as other CHANGE partners – will ensure that these practices remain vital elements of climate change adaptation for the long term in these 17 project communities and beyond.